While many libraries lend out electronic books for those who already have a tablet or e-reader, a Wisconsin library is cranking the digital lending up a notch. 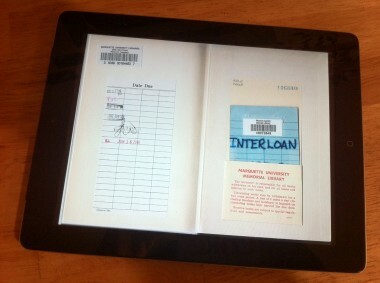 The Eau Claire, Wis., library is lending out iPads. Some of the iPads are loaned for a week at a time, while others are offered for four hours at a time for use within the libary. Each tablet is loaded with 1,000 books and 10 audiobooks, as well as various apps and Web site links. In all, the library has 44 iPads to lend. The library got a foundation grant to help pay for the tablets and said it chose the iPad from among the digital options because of its versatility. 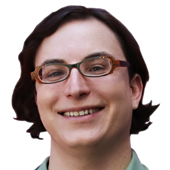 “While there are many devices competing for the attention of the library customer, no single device can fulfill every need. The iPad was chosen for this project because of its place as a tablet computer marketplace leader and its flexibility in providing more access to library-related content than an e-reader-only device,” the library said in a document outlining the program. Libraries have been going digital for some time, adding a variety of digital media to their physical and virtual shelves, as well as offering Internet access to patrons. On Wednesday, Amazon announced that its Kindle devices can now be used to read e-books checked out from libraries, joining similar programs available to Nook and Sony Reader owners. Update: The folks at the Eau Claire Library, valuing preciseness, wanted us to know that they said they were one of the first, if not the first libraries to offer iPad checkouts. They said they have since heard from the Mentor Public Library in Ohio and Darien Library in Connecticut that both also offer iPad checkouts, though on a smaller scale. [Due Date image (shown on iPad) courtesy Flickr user Doug Coldwell.